At Selleck Pools Inc., we provide proper, safe and efficient installation and maintenance of pool pumps, filters and heaters. We work with the top pool filtration and heating system brands, including Hayward and RayPak, to provide the best value to our customers. 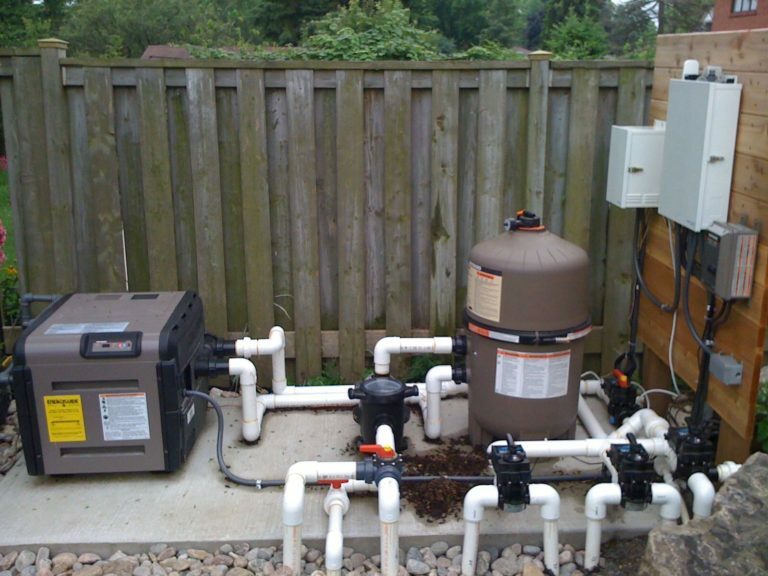 Our team is trained to properly install and service pool filtration and heating systems. Every pool is required to have a filter to collect debris from the water and maintain an acceptable health standard. Pool filtration systems typically include one or more drains in the pool floor and skimmer drains in the pool wall around the waterline. Pool filtration begins with the filter’s inlet pipe that allows for the flow of dirty water into a tank. With a little help from gravity, the water is then filtered through a fine sand or a cartridge that collects dirt and debris. The filtered water can then be returned through an outlet pipe. If your pool uses a sand filter, over time the collected dirt and debris will make the system less efficient and it will need to be backwashed and drained into the sewage system. If your pool uses a cartridge filter, the cartridges need to be washed a couple times a year and replaced every few years. Our certified pool experts offer these service and include a professional check of all pool systems in our pool opening and pool closing services. 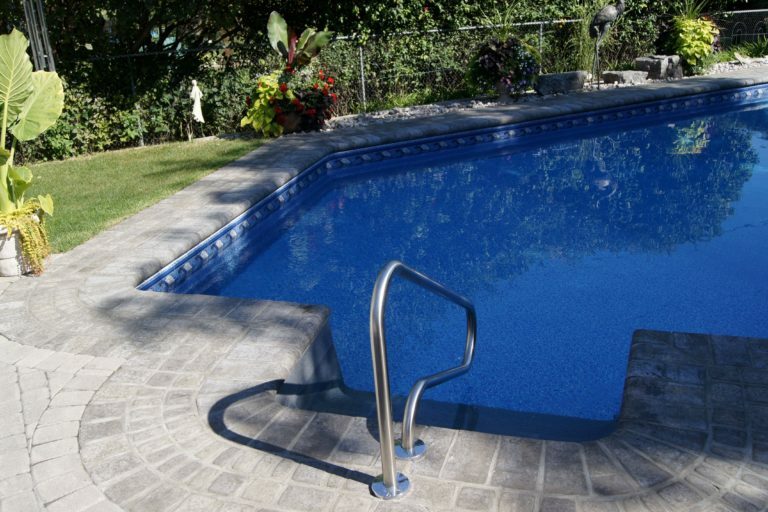 The filtration is also connected to the municipal water line or well so that water can be added to the pool due to water loss from backwashing the filter, regular swimmer activity and evaporation. A pool pump is vital to the health and cleanliness of your swimming pool. The right pump prevents stagnant water and helps process the pool water through the filtration and heating systems. The pool pump’s function is to draw water through the skimmer and main drains into your filter and then back into the pool through the return jets. This process keeps your pool clean for a long time so you can spend less time cleaning your pool and more time enjoying it! A pool heater will allow you to enjoy your pool for even longer, by maintaining your preferred water temperature in the shoulder season. When it comes to heating your pool, there are electric heat pumps and natural gas heaters. Our qualified pool professionals are happy to recommend the best heating system for your pool by considering size, efficiency and cost. At Selleck Pools Inc., we have an Ontario certified gas fitter II to provide natural gas heater installations and service. Need to update your pool equipment? Proper installation and maintenance of your pool equipment can optimize its efficiency. It’s best to have a qualified pool professional install and perform complicated maintenance or repairs on your pool pump, filter and heater. For more information about pool equipment, call 416-724-8649 or fill out a contact form.